Jared Unzipped: The Magnificent Pipe Organ. I'm not sure I've publicly disclosed this before, but I adore pipe organ music. Though I may not be religious, I can always appreciate a church or cathedral that has an actual, playable organ. Organs have this haunting quality that deeply appeals to me. If I had the coordination (and smaller hands) to play a keyboard-like instrument, the pipe organ would be my go-to music maker. The world's oldest pipe organ which is still in use resides in Switzerland. Dating back to at least 1435, the organ housed within the church of Notre Dame de Valere at Sion is a marvel of construction. While many parts have been refurbished or replaced over the centuries, some components are still original. Imagine it - an instrument that's much older than anything else we can actually put our hands on still makes enchanting music! It has outlived our forefathers and will probably outlive us. Many other organs spread all across the globe are nearly just as old, dating to the mid to late 1400's. Even with modern technology, constructing a new pipe organ is a daunting task. It first takes years of planning and conceptualization. The type of music being played, as well as the acoustics of the housing location, are taken into consideration. After that, the process to complete the organ takes very precise and exacting steps. Everything must be tuned properly for the organ to sound correct. From there on, the organ will need regular cleaning and maintenance. As such, the pipe organ was long considered mankind's most daring and complex achievement. It took the advent of the modern telephone network of the late 1900's to engulf that position! Pipe organs originated in Ancient Greece around 300 BC. In the beginning, they were simple water organs known as the hydraulis. 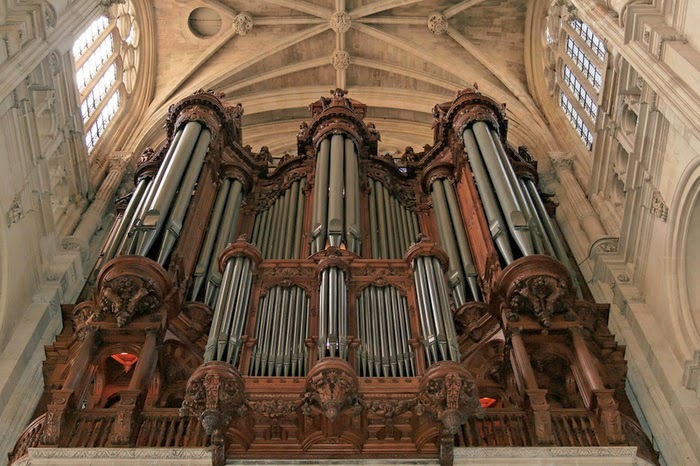 Over many centuries, the organ evolved with more pipes, increased air pressure, bellows and refined timbres. Surely you'll agree - the pipe organ is one of mankind's boldest triumphs. From houses of worship, to concert halls, to the early years of cinema with silent films, the pipe organ has entertained all of humanity. With that, I consider the pipe organ as the most important of all musical instruments. And now, for your listening enjoyment, here's Bach's Toccata and Fugue in D Minor on the world's largest pipe organ. For a little bit of fun, here's the Doctor Who theme performed on a pipe organ.